of kidney disease and its associated medical conditions. than 10% of the general population has kidney disease? At Kidney & Hypertension Specialists, P.A., our Central Florida kidney specialists, known as nephrologists, work with patients every day to help prevent and treat hypertension, chronic kidney disease, diabetic kidney disease, acute renal failure, proteinuria, electrolyte abnormalities and more. We also assist with home dialysis and kidney transplantation for those patients in need. 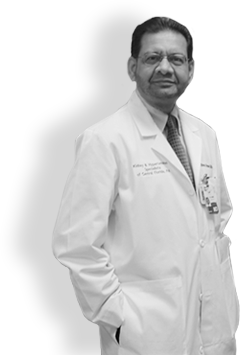 Established in 2001, our practice’s board certified nephrologists, Dr. Ahmed and Dr. Khan, focus on not only treating patients with optimal care and respect, but also educating them on their condition and how they can take proactive steps to live a healthier, happier life. Together, along with the help of our patients, we form a team that continually works to provide you with the most advanced, least invasive kidney care possible. Our practice serves Clermont, Winter Garden, Leesburg, Ocoee, Orlando, and surrounding areas. have privileges at the following hospitals. Part of the Orlando Health hospital system, South Lake Hospital is located at 1900 Don Wickham Drive, Clermont, FL 34711. Part of the Orlando Health hospital system, Health Central Hospital is located at 10000 W Colonial Dr, Ocoee, FL 34761. Click here to see all of our patient testimonials. Very thorough!….takes his time and explains things very clearly. View More on RateMDs.com. What is Phosphorus and Are You Getting Enough of It? Do You Have the Right Amount of Potassium in Your Diet? 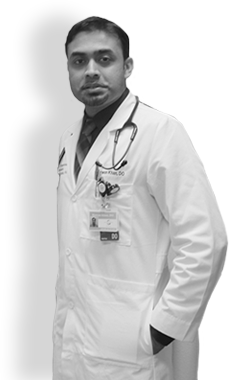 We offer the most advanced, minimally invasive treatments for your kidney and hypertension issues.